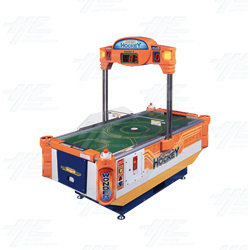 The wonder hockey is easy and fun thinking hockey game for any ages. You can adjust the height to fit a small child or adults. The new system uses a quiet pack sound safety design. It will make you more happiness to play with your friends. The new system uses a quiet pack sound safety design. It will make you more happiness to play with your friends.